In fact, Lew has a well-deserved reputation for homing in on the values that lurk behind the numbers. Progressives in and out of government in the late 1990s recall him as one of the key defenders of Medicare and Medicaid from the designs of axe-wielding Republicans. “There was no bigger supporter,” one liberal policy maven told me. “He saved Medicaid.” More recently, as a top Obama emissary to the deficit negotiations of the last few years, he’s been dogged in his insistence that Democrats won’t entertain the tiniest pinprick to these programs unless Republicans put revenue on the table. 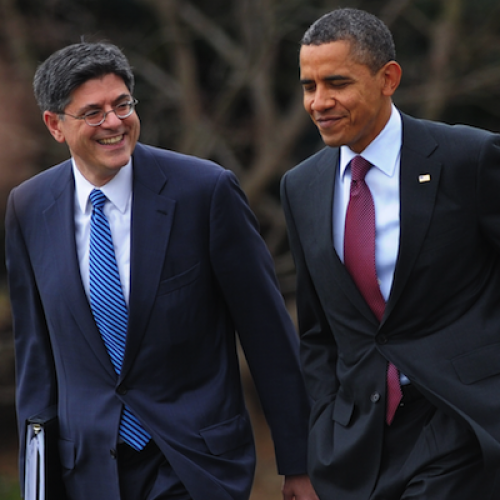 Perhaps not surprisingly, GOP leaders have repeatedly petitioned the White House to send someone other than Lew to join them at the bargaining table. Which points to at least one reason to love his nomination: It’s an instance of Obama emphatically not allowing Republicans to choose their negotiating partner, a rule he hasn’t always observed. Simply put, the president is getting the Treasury secretary who most closely reflects his thinking about the size, shape, and role of the state (something that, by the way, seems increasingly true of his second-term cabinet writ large). However that works out, it’s all on Barack Obama in a pretty deep and inescapable way. Which, in the end, is as it should be.